Yes, I have always suffered a severe addiction to chocolate. But when I get the chance to use raw cacao, I know my body is in for a bigger treat! Super high in antioxidants, magnesium, and PEA, Cacao is a natural high in all forms, especially when its the uncooked stuff! 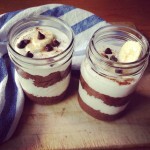 This recipe is from the Raw Food, Real World Cookbook. I tend to really like the recipes from this book. I did change a couple small things. 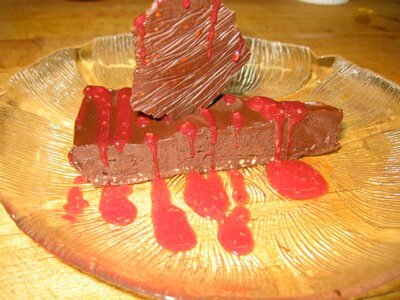 I used Natures First Laws’ Raw Chocolate Powder instead of the cocoa powder. If you’ve never used this stuff before- you should. It tends to be a little less bitter than straight Cacao nibs, or powder. I use this to also make my almond nut milks, brownies, ice cream, etc. If I’m feeling lazy and need a chocolate fix fast, Ill cut into a young coconut, and mix in a spoonful with the yummy water inside. Simply decadent! 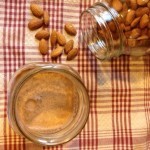 Instead of making almond flour, I took my leftover nut pulp from my nut mylks, dehydrated it and voila! No waste! I also made a raspberry coulis to top, making this a super duper high in antioxidants dessert! ***Mix all ingredients in a mixer with a paddle attachment. Or if you dont have a mixer, use a wooden spoon and a large bowl. Press the crust evenly in a 9-inch tart pan. Springform pans work best due to the removable bottoms! Allow to chill 1 hour. ***Blend all of the ingredients in a processor till smooth. Taste it here to make sure its not grainy, and to your liking. Pour into the chilled crust, and refrigerate for another 3 hours. *** To make the raspberry coulis, I put some fresh raspberries and a tiny squirt of agave in the blender for just a quick second. Spoon over the top. Feed this to you loved one and I’m sure they’ll be at your feet begging for more! 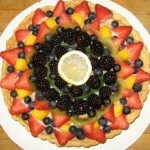 This entry was posted in Desserts, Raw Foods and tagged cacao, dessert, raspberry, raw food.